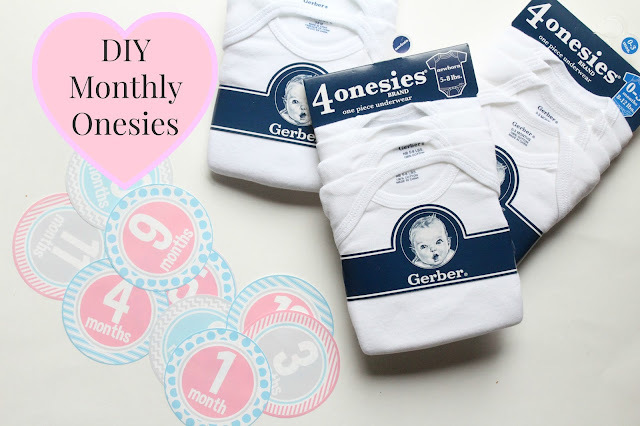 DIY: Monthly Baby Onesies & a Giveaway! My sister gave birth to my beautiful niece back in May and she is just the cutest little baby ever! I recently went down to Florida for a visit in the beginning of June and brought a suitcase full of new baby clothes. Within that suitcase included some cute monthly onesies that I made. So today, I am sharing my DIY with you and giving you all the opportunity to win some iron-on month decals from my friend Nadine over at the lovely Etsy store "My Lil Tees"
1. I washed my Onesies in the wash machine first. I find that iron on decals stick best this way and plus the Mom won't have to wash the onesies before putting them on the baby (win, win)! 3. 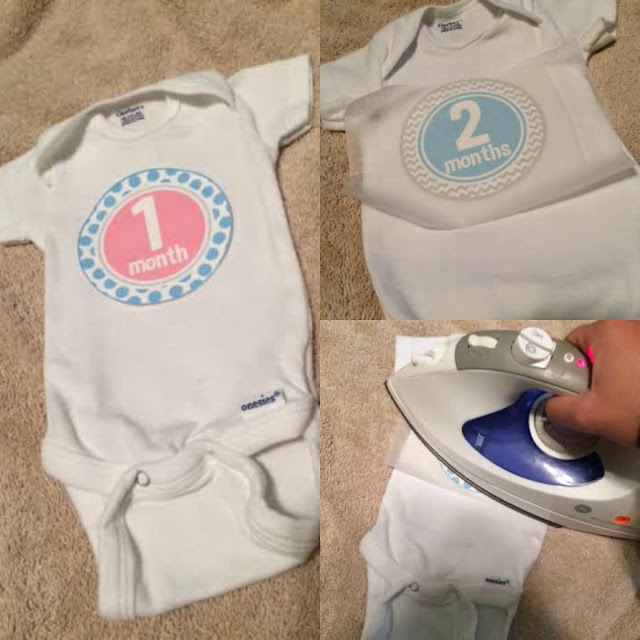 Once your iron is hot and the onesies have been washed and dried you can place the month decal in the center of the onesie. 4. Place the iron-on paper over the decal (making sure that it is still centered). 5. Press the iron firmly onto the paper and hold for about 30 seconds. 6. Remove the iron and then slowly peel back the iron-on paper. 7. Let onesies cool off. 8. 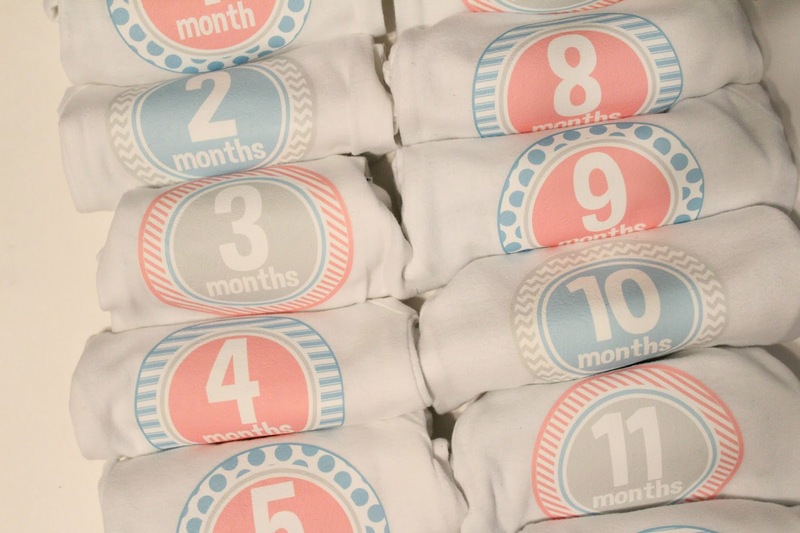 Once cooled, you can roll up the onesies and present them to the Mom to be! If you have questions, feel free to ask and Don't forget to head over to my Instagram (@Abeachlover) and enter the Giveaway! Giveaway will close at Midnight EST time on Thursday, June 30. This is such a great idea and they turned out adorable!